NASA to Set a Space Base Close to the Moon? NASA is said to be looking into creating an outpost in space close to the far side of the moon. NASA officials explained that the base could serve as a jumping point for exploration of the near-lunar region, asteroids, the moon and eventually Mars itself. According to SPACE.com, NASA’s associate administrator for human exploration and operations William Gerstenmaier wrote a memo saying that the space agency is setting up a team to develop a plan for exploring a spot in space known as Lagrangian points. These points in space are where the combined gravitational pull of two large masses (the Earth and the moon/sun) balance each other out rendering them a useful place to “park” a spaceship without using fuel for extended periods of time. The specific Lagrangian point talked about in the memo is known as EML-2 and is located close to the far side of the moon. This spot might be a useful place to begin deep space exploration including voyages to asteroids, the moon itself, and eventually Mars and its moons. NASA is looking to use partnerships already established during the construction of the international space station to help build the next space outpost. This time NASA will also be counting on the private sector early on to reduce costs and increase innovation. 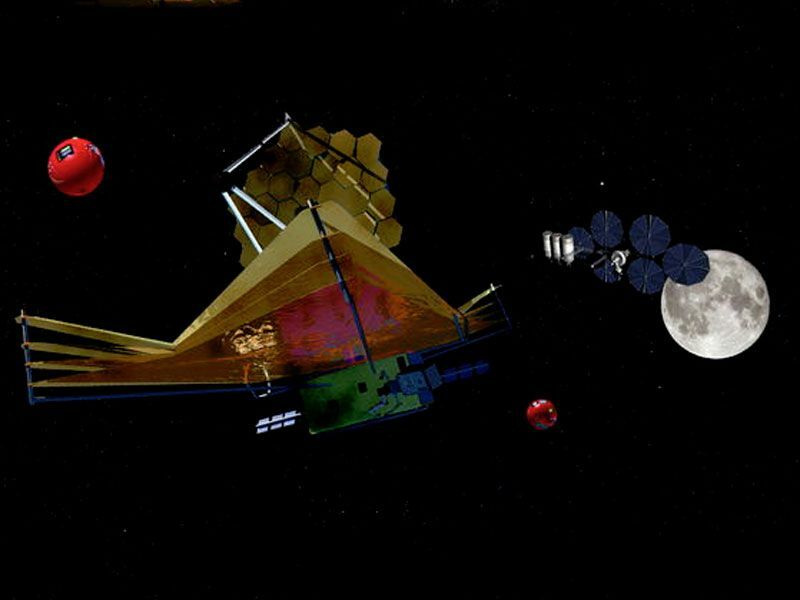 NASA will also be looking into reusable infrastructure and ways to make its projects more affordable over long periods of time in order to meet future budget restrictions. The “EML-2” outpost – if created, will be the furthest location any human has ever visited (it will actually be 15% farther from Earth than the Apollo astronauts landed). Many technological hurdles will need to be overcome before such a human outpost can be created including but not limited to, finding ways to restrict human exposure to radiation over long periods of time so far away from Earth’s magnetic field. TFOT has reported many other stories regarding NASA’s future plans including the Constellation Program – the Ares I rocket – back in 2008. We also covered many advanced spacecraft propulsion technologies, including an antimatter engine that uses positrons for fuel, a new privately developed lunar lander, an experimental supersonic combustion ramjet or scramjet, and tests of a methane-powered rocket engine.